We have had a new member of our school community start with us in November 2018. We now have a School Helping Dog. As a school we have been considering introducing a school dog since 2017. ➢ Studies have shown that the presence of companion animals can improve the well-being of children and lower anxiety levels, simply by making the environment happier and more enjoyable. ➢ Dogs in the classroom can be used to calm fears, relieve anxieties and teach skills. ➢ Over a period of time rigorous research has been carried out to ensure that we have selected the most suitable breed of dog for our school, pupils and staff. We have chosen to have a Golden Retriever. Research shows that Golden Retrievers are intelligent, devoted, loyal and clean. They are patient, friendly, affectionate, love children and adapt well to new situations. ➢ A visit has taken place to a local primary school where a school dog is already successfully in place. This school shared with us their experience about the positive impact the dog has had across the school. 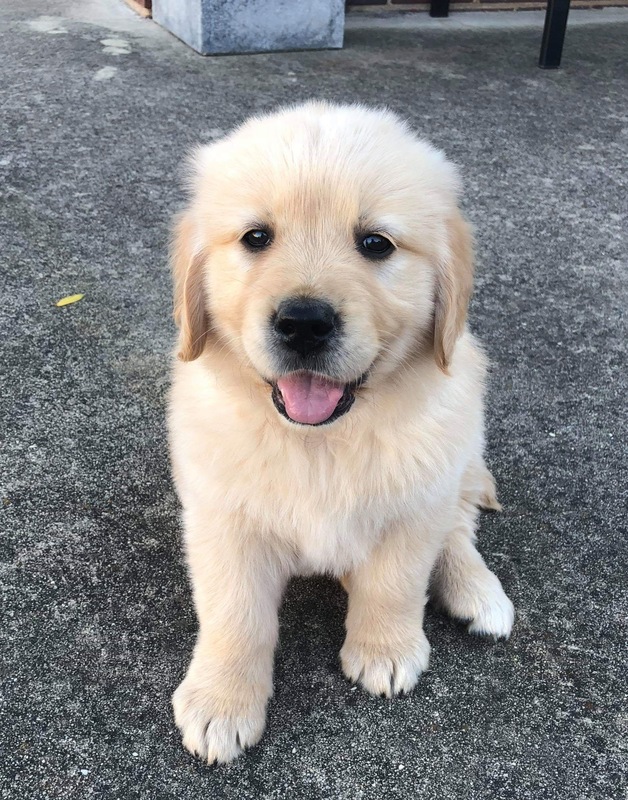 ➢ Prior to purchasing the puppy, Lachie has visited the home of the breeder to ensure that the puppy’s temperament and that of its parents, is suitable for interaction with children. The breeder has also provided a supporting statement. ➢ The puppy has been immunised and wormed in line with the Kennel Club’s stipulations. ➢ The school dog will live with Lachie and attend regular puppy school, which will help with the puppy’s development. ➢ There will always be a designated member of staff present during any interaction with pupils. ➢ A full risk assessment has been completed. We will be training our school dog to become a certified ‘therapy dog,’ which will be regularly tested for health, obedience and temperament.